Ask anyone who has ever participated in a full poker game and they will tell you that poker is not really so much about luck as it is about strategy. Granted, some bit of luck can help you win a poker game particularly when you happen to get strong hands but luck alone will not always be sufficient. Without a solid poker strategy you are still very likely to lose the game once your luck begins to run out. No wonder it is said that although it might take anyone just a couple of minutes to learn how to play poker, they might need an entire lifetime in order to master the game. The importance of having a good, solid poker strategy cannot be overemphasized. But, at the same time, it is important to point out that there is no single strategy that is 100% guaranteed to work every time and in every game. Every game is different and that means you need to be flexible and able to adapt a different strategy that is suited to the game. You will also need to consider the level at which you are playing the game. While a basic poker strategy might work well enough if you are playing with beginners, it might cost you a large sum of money if you use it when playing at a pro table. The secret to creating a winning poker strategy is to understand the common mistakes that poker beginners usually make and how to avoid them even before you get into the game. The next tip is knowing the differences that exist between live poker games and online poker games. Although the underlying ideas may still be very similar, the fact still remains that a winning online poker strategy may not be the very best strategy to adopt when you play at a live table. That said, here is a list of the 5 most common mistakes made by new or rookie poker players and how you can avoid making the same when crafting a winning poker strategy. Most poker players will tell you that it is usually better to have an aggressive strategy but the fact is that an aggressive strategy might not always be the best. This is particularly true if you are playing at a table with very many players. While raising many times may give you control of the pot and increase your chances of walking away with it, remember that you are not the only one with a good hand. That is assuming you even have a strong hand. If you do not have a strong hand and are simply trying to bluff your way along then you could end up in real trouble if your opponents call and they happen to have better hands. And in a game of more than 8 players there is always a good chance that at least one other player on the table might have a stronger hand than yours. If you are a beginner trying to craft your own basic poker strategy then it is probably better to be less aggressive during the first rounds of the game until some players have been eliminated and you can make a much better guess of the cards that your opponents might be holding. It is common for most new poker players to ignore positioning at the table and assume that they have an equally strong chance of winning regardless of which turn they take to play. But here is the thing, if your turn to act in the hands comes in too early before the other players, you have no way of knowing the kind of cards that they might be holding and this means that whichever decisions you make be it to fold, call, raise or bet will be based largely on guesswork. On the other hand, having a later turn at the table gives you a chance to watch the other players play their hands and, depending on how they choose to play them, you can have a more accurate idea regarding the kind of hands that they may be having. In addition, playing from an early position forces you to be tighter with your hands while playing from a late position lets you play more hands comfortably. There is a very good reason why poker is often referred to as a bluffing game. Experienced players do not just play the cards that they have but they also play the cards that they can make you believe that they have or against the ones that they know you have. And they are usually able to tell the kind of cards that you have by reading your emotions or body language whenever you receive cards from the dealer. 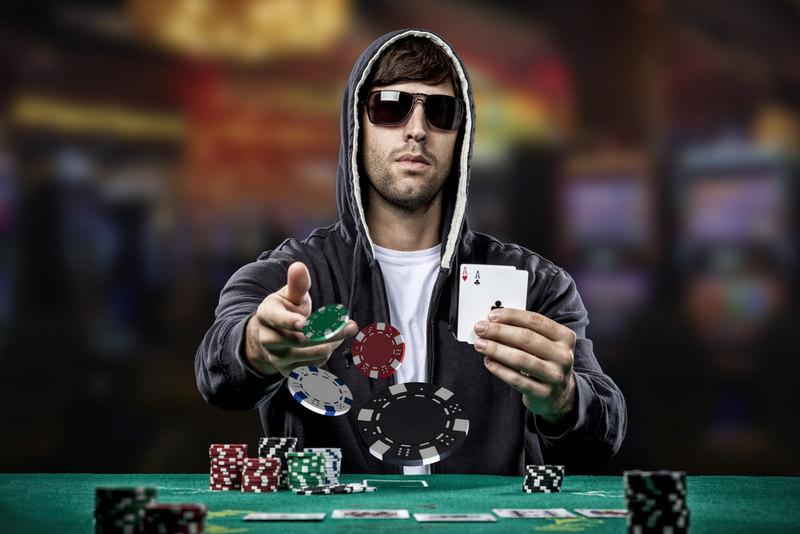 If you are crafting an online poker strategy, then this point may not matter much since you are not able to see your opponents, but it could cost you the game if you are playing at a live poker table against players who are more experienced than you. While you are at it, you might also want to learn how to read other poker players and judge the kind of cards that they might be having based on their emotions or body language. Although playing many hands might appear to increase your chances of winning the pot, at the end of the day it will only amount to more losses for you when you don’t win. This is one of the most common strategy mistakes that are usually made by beginners and one that you should strive to avoid in your beginner poker strategy. Experts recommend that you should only play somewhere between 10% and 30% of the hands available to you. Play only with money that you can afford to lose and not a penny more. Stretching you financial limits at a poker table brings in worry, or even panic, and both of these could easily cost you the game since they tend to reduce your focus.